As I said in the introduction, I remember growing up always thinking to myself how "blessed" I was to have been born into a Mormon family. And not just any Mormon family, but one in Utah of all places! When reflected upon, the odds are quite staggering. There were approximately 5.2 billion people in the world. 7.7 million of them were Mormon, about 0.15% of the world's population. Not to mention the even smaller percentage of those Mormons specifically in Utah. Of course in church on Sunday they taught me that this is all because I was valiant in the premortal life in fending off Lucifer's influence and I was likely a high ranking officer in the war in heaven. As an impressionable eight year old, I ate it all up. Mormons born into the Church are typically baptized at the age of eight. They teach that it is the age of accountability and an eight year old is supposedly capable of understanding the implications of such a decision. At age three, all children start attending Primary — children's Sunday school. There they learn songs with lyrics like "I can't wait until I'm eight, for then I'll be baptized you see", "I hope they call me on a mission when I have grown a foot or two", and "I love to see the temple, I'm going there someday". The indoctrination clearly begins early. At the beginning of our marriage, my wife and I taught the class in which all the students were to be baptized that calendar year. I remember one boy who did not want to get baptized. After publicly expressing the sentiment, he was promptly called in to visit with the bishop — the leader of the congregation. He came out of the meeting wanting to get baptized. The obligation and shame begin early as well. I personally loved going to Primary. I loved singing and playing games. I always felt like one of the smartest kids there because my parents taught me many of the Bible and Book of Mormon stories we talked about in class and I usually knew most of the answers to the questions being asked. By the time I was getting ready to turn eight, I never would have dreamed of not getting baptized. Not only was it what my parents, neighbors, and supposedly Heavenly Father wanted me to do, but all of my school friends, with whom I didn't even go to church, were doing it too. So I was baptized August 1, 1998 and became a member of the Church of Jesus Christ of Latter-day Saints. I would make it almost twenty years as an official, baptized member. I remember recently seeing a gift given to a Primary-aged boy. 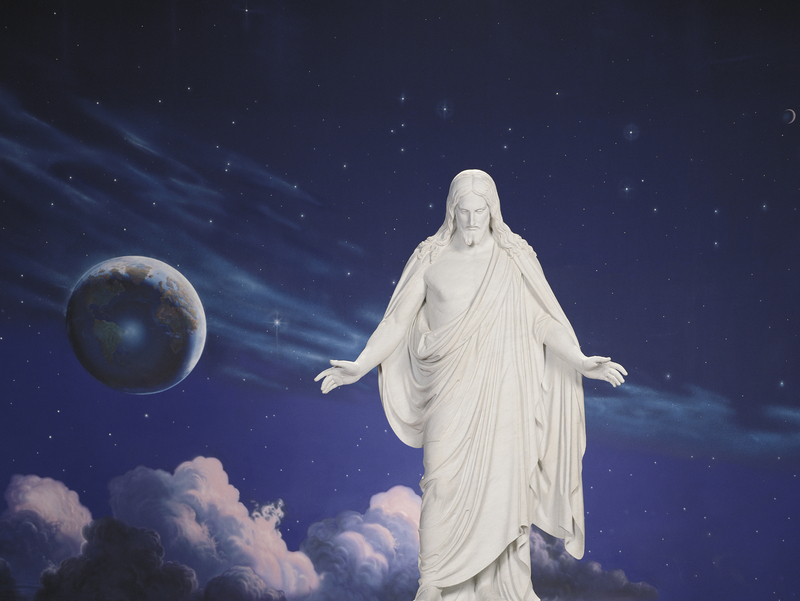 It was a picture of him in front of the Christus statue in the Church's visitor center on Temple Square in Salt Lake City. It said "I Know That My Redeemer Lives". It's the title of a Mormon hymn that was, coincidentally, my favorite when I was younger, and most likely the theme of Primary that year. As a TBM this would not have bothered me at all and I likely would have praised it. However, now understanding the indoctrination happening, it makes me rather sick. That boy was likely around the age of five and honestly had no idea if Jesus Christ lives. His understanding of the concept of Jesus was elementary at best, yet adults authority figures were telling him he knows Jesus is real and lives because he was supposedly resurrected after dying for this boy on a cross. Telling him, not presenting him with evidence and allowing him to make the decision for himself as many Mormons will claim happens, but telling him as if it was a provable fact that Jesus lives to this day. When you are told what to strictly believe from a young age you typically do not develop the ability to think critically. You are pressured to accept what any authority figure tells you is true, unless it contradicts a figure with higher authority. I do not think I had a legitimate critical thought until I was 18 years old, and even then, it was only minimally critical. Yes, it is entirely true when I say I accepted nearly everything any Church leader told me as fact until I was 18. Soon after having my first critical thoughts around my beliefs, I stopped because it made me feel uncomfortable. It made me feel shameful. Indoctrination is real and it is damaging. It stifles and discourages independent thought by giving people the false sense of comfort that the Church is the one source of all truth.